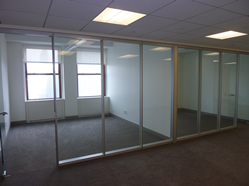 This listing is for shared offices from a Law Firm in a sublet space near the Empire State Building. The space herein would be ideally suited for an Accountant, Law Firm, or any other type of Executive Professional. The available space offered consists of two glass enclosed Private Offices and a open Workstation, all bound within a beautiful Class A high-end installation in the world's most recognized address. 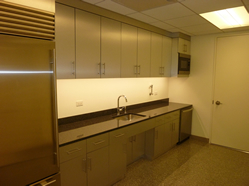 This space also features a conference room, pantry, and reception area with seating, and private restrooms - all of which is all shared with the primary lessor. 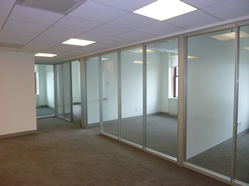 The available offices stand on the 31st floor and features 4 privated windowed offices with glass fronts and an open work area able to accomodate up to 12 in an "L" shaped configuration givieng you windows from 2-sides of the building. The space shares its entrance with the primary tenant but is otherwise accessible to you 24/7. 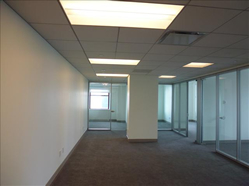 This office is located between 33rd and 34th Street in Midtown, bearing a great midtown south location / presence near all, perfect for your business / image needs. It is conveniently located near multiple subway lines for easy accessibility - both on the East and West sides of Manhattan (34th & Park or Herald Sq or Penn Station).